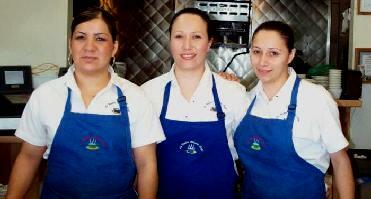 La Habra Heights Cafe is small in size, but large in quality & friendliness. We have gained the confidence of our customers by the high degree of quality & care we put in to preparing our menu items. We make our own chili, our biscuits & gravy are fresh-baked & our hamburger is ground in a special way, fresh daily, with just the right amount of fat for flavor in our hamburgers. Our dressing is our own recipe and a long time favorite. You will find only the best products at La Habra Heights Cafe, whole milk, cane sugar, deluxe ice cream, half and half for your coffee and no preservatives or extenders of any kind. Just good, wholesome food. All of us, both owners and staff at La Habra Heights Cafe strive to provide a family friendly environment for everyone to enjoy. 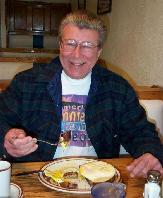 So whether you are in the mood for breakfast or lunch we will make sure your dinning experience is a pleasant one. 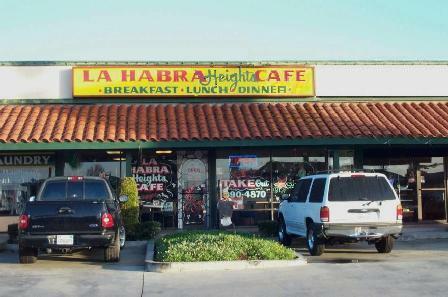 La Habra Heights Cafe is open Daily 7:00am to 2:00pm or call in a take out (take out menu) order to 562-690-4870. 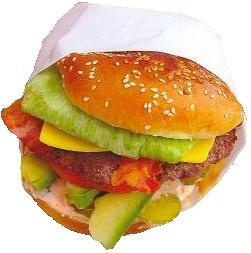 We are located at 2461 W. Whittier Bl., La Habra, CA 90631 between Beach Bl. and Valley Home Ave. For directions please click on the map below.